Copyright ©2010 by Signature-IT Ltd. This document and the software described within are copyrighted with all rights reserved. No part of this document may be reproduced, transcribed, transmitted, stored in an electronic retrieval system, or translated into any language in any form by any means without prior written permission of signature-ITLtd..Signature-ITLtd.makes no warranties, express or implied, in this document. In no event shall Signature-ITLtd. be liable for damages of any kind arising out of the use of this document or the information contained within. This document contains information that is confidential or proprietary to Signature-ITLtd. (or its direct or indirect subsidiaries). By accepting this document, you agree that: (1) if there is any pre-existing contract containing disclosure and use restrictions between your company and Signature-IT Ltd., you and your company will use this information in reliance on and submit to the terms of any such pre-existing context; or (2) if there is no contractual relationship between you or your company and Signature-IT Ltd., you and your Company agree to protect this information and not reproduce, disclose or use the information in any way, except as may be required by law. 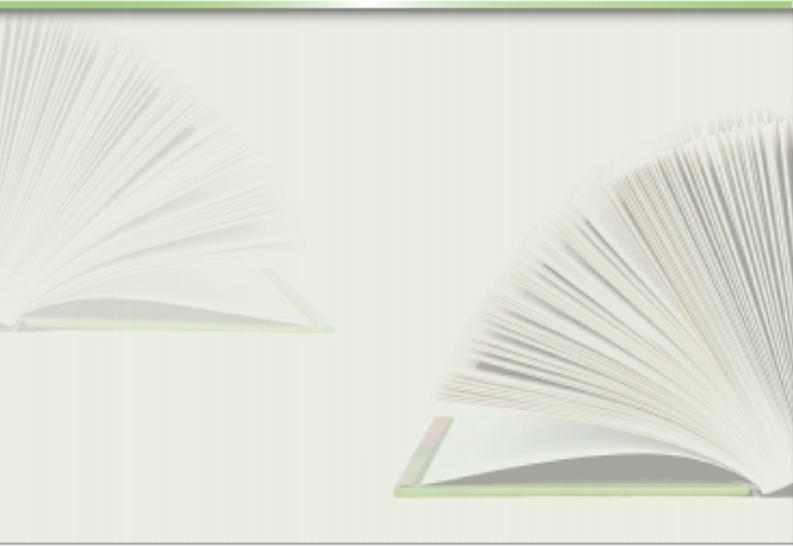 The screens and illustrations are representative of those created by the software, and are not always exact copies of what appears on the computer monitor. Companies, names and data used in examples herein are fictitious unless otherwise noted. The material in this document is for information only, and is subject to change without notice. Signature-ITLtd. reserves the right to make changes in the product design and installation software without reservation and without notice to users. There is a totally new way to buy industrial products! Whether you're a manufacturer, distributor or end customer, the Signature System helps you efficiently handle and exploit the vast amount of technical information available in your marketplace. The Signature System is an e-commerce system made up of image-rich online catalogues with highly intuitive navigation and technical guidance that display accurate and rapid pricing. The purpose of this User Guide is to provide an overviewof the Signature System version 2.0 and to describe the tasks a user can perform. The application commands are indicated in Bold. The mandatory fields are indicated in the Web GUI (Graphical User Interface) application; they are marked with an * on the screen. Additional information and tips are indicated by the icon. Signature System User Guide for Administrators: Describes the tasks a System Admin can perform. Signature System Product Configurators Guide. A Guide to the Signature System Network. The Signature System is a Web-based application enabling manufacturers and distributors to display and manage highly technicalonlinecatalogues and product configurators to potential customers. The Signature System offers detailed technical information of the presented products, and enablesproduct assembly and online purchase. A guest can browse products from the online catalogue. To purchase products from the online catalogue the guest must become a RegisteredUser. ARegisteredUseris authorized to browse and purchase products from the online catalogue. This user is able to view order lists, favorites and create sub-users that share his credit account. The System Administratoris able to manage users, monitor orders and has the abilities of database management that include changing products and their technical data. Customer tailored websites may contain additional tabs such as “Legal” and “Downloads”. These are described in the relevant customer specific guides. In Basket/Quick Order: The “Basket” is your shopping cart; it is where the items for purchase are stored. 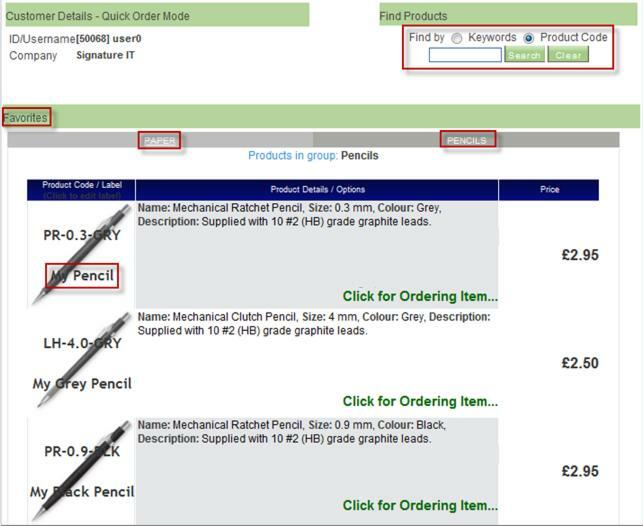 The In Basket/Quick Order screen displays the contents of your basket and enables you to use a search engine to quickly find specific products, add them to your basket and place the order. For more details refer to In Basket/Quick Order. Favorites: The “Favorites” feature is a storage space for your widely-used or unique products; this enables you to store your “popular” items in one place. You can search for products and add them to the Favorites, edit some product details and order products through this feature. This is your personal products storage house that includes a detailed search to quickly locate the product of your choice. For more details refer to Favorites. My Orders: Displays your and your sub-users’ past orders along with their full details. When you place an order, it is sent to the system administrator who updates the order’s status. The My Orders option displays the status and details of the orders. For more details refer to My Orders. 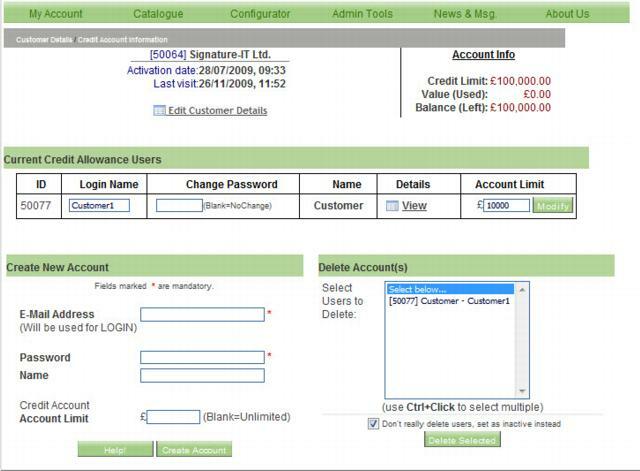 Account Management: The Signature System enables you to create “sub-users” for your account. These sub-users share your credit account and are under your “review”. You can create and deactivate sub-users. For more details refer to Account Management. Incoming Messages: Displays messages you received from the system administrator or automatic messages the system sends you. For more details refer to Incoming Messages. Profile: Displays your customer settings. This is where you can change your username, change password and update your profile. For more details refer to Profile. The Online Catalogue enables you to browse products, view their technical details and purchase them online. 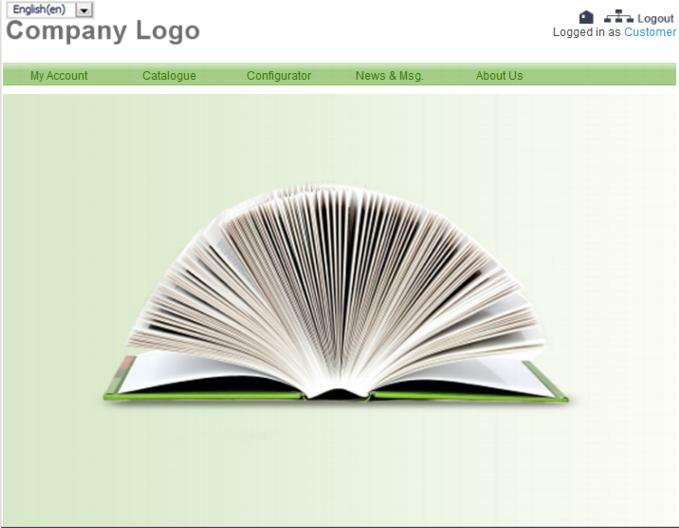 The online catalogues are very detailed on one hand but extremely easy to use on the other. They are comprised of four major levels that guide you to the final desired product through the most efficient process. For more details refer to Using the Online Catalogues. The Signature System Configurators suit the most complex products and assemblies. They automatically illustrate any product combination in a 3D look-alike format and build product codes regardless of complexity. The configurators provide full technical information per product and automatically provide product net pricing. For more details refer to Signature System Configurators User Guide. Most interactions between users and system administrators can be done through the system. Enquiries and requests are directed by the system to the relevant personnel on the system administration side, as well as to their personal e-mail. Incoming messages from the system administrators are listed in this section. Such messages can include order clarifications and pricing. You can use the Compose option to send a message to the system administrator. Type in the subject and content of the message and click Post. Click to return to the system “Home Page”. The Signature System is fully multilingual; this enables you to switch between languages at any point while using the system. The Signature System is fullymultilingual which means that all product technical data, user interface and textual information are translated. This is subject to translation made by the administrators. The language is selected from the dropdown list at the top left corner of the screen. All translated interfaces are displayed with the language of choice; non-translated content is displayed in the system’s default language. The Profile page has a field in which you can select your preferred primary language. Type the product code or keyword in the search field. If you are logged on, you canselect a product to order, add the product to Favorites, e-mail the technical details to a friend or print the page. To login to the system refer to Logging into the System. To order the product, click Select Product. 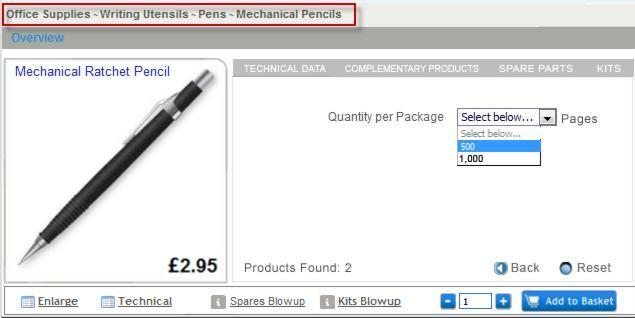 In the product Overview page, select the desired quantity and click Add to Basket. In the Basket, click Confirm Order to order all items in the Basket. Fill in the Order Form and click Submit Form. You can track the order’s status through the My Orders menu. For more details regarding adding products to the basket and ordering products refer to Adding to Basket and In Basket/Quick Order. For information regarding the advanced search see Advanced Search. Navigate to My Account>In Basket/Quick Order. To order all items in the Basket, click Confirm Order. The online catalogue enables you to browse products, view their technical details and purchase them online. 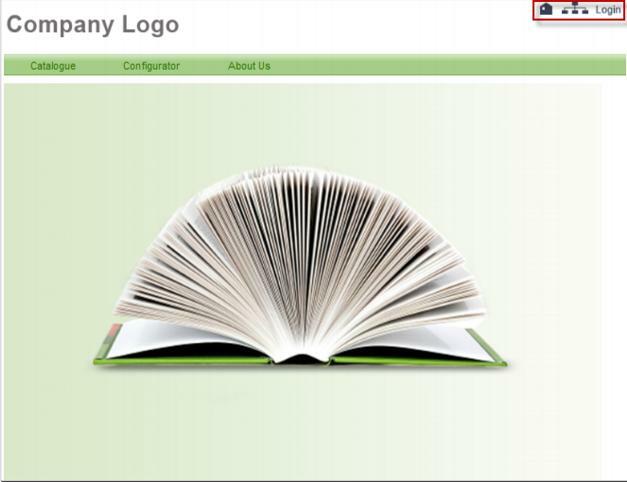 The Signature System catalogues are detailed and easy to use. They contain four major levels that guide you to the final desired product through the most efficient process. The products reside on the final level of the catalogue. Each catalogue has bread crumb links displayed at the top of the product selection screen that indicate which level of the catalogue you are in. You can click any level of the catalogue on the bread crumb links, at any time, to return to an earlier stage of product selection. Name blocks: The system is set up of groups and sub-groups that contain products distinguished by specific features. The sub-groups are divided into groups in which the distinguishing feature between each product is minimal yet important; this means that one name block can contain four items that are basically the same product but differ for example in colour or size. The name blocks contain products with the same name and the same representative image, the final product is chosen by filtering through specific fields in each name block. As a guest you can browse the catalogue, view thousands of product types and select the products of your choice; as a logged in user you can purchase the selected products. To create a user account refer to Creating an Account. This is the second level of the catalogue. At the top left corner of the screen is a list of the sub groups. Clicking a specific sub-group name automatically scrolls you down to that group on the screen. Clicking the group’s title displays a view of all the products in a specific sub-group. Click the relevant Sub-Group to display the name blocks. The ( ) represent the number of products in the specific name block. You can see the four levels of the catalogue on the bread crumb links. The name block you chose is displayed on the left side of the screen. There is an indicator of the number of products found for your specific name block. This system provides a mistake-free selection by guiding you through the process like a personal technical advisor. 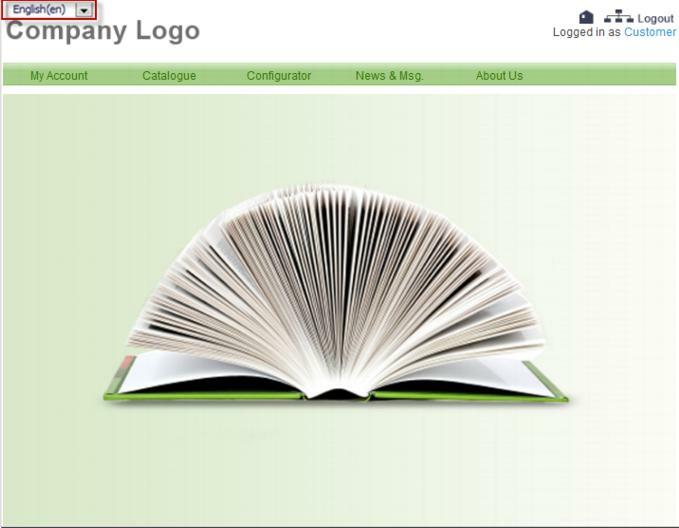 The catalogue provides you with all combinations of the variables relevant to your product only. This means that any fields displayed in the selection process, such as size or colour, are specifically tailored to suit your desired product. The selection process starts from top selector down; this is why other selectors are disabled (colored in grey). Once the first selection is made, the system automatically filters the relevant products available based on your selection. The filtering process to your final product is intuitive and error-free. The selected data is displayed and the bottom selector is now enabled. The Back button takes you back a step or selection. The Reset button resets all selections. The bread crumb links marked in red display the four levels of the catalogue used to reach the final product. Returning to earlier stages of product selection is always possible through the bread crumb links. The overview screen displays the unique product image of your product choice. The price of the product is displayed on the bottom right corner of the image. There are four tabs in this screen: Technical Data, Spare Parts, Kits, and Complementary Products. The Technical Data page displays the basic product description; product code, name, size, colour and other important product characteristics. Some catalogues display prices and some display POA (price on application); this is the system administrator’s decision. If the Price column in the Basket displays “POA” (Price on Application), this means that the final cost of the Basket is to be determined. Spare Parts are parts that the original product is made up of. They are specific to each product and they replace parts of the product that are worn out or damaged. 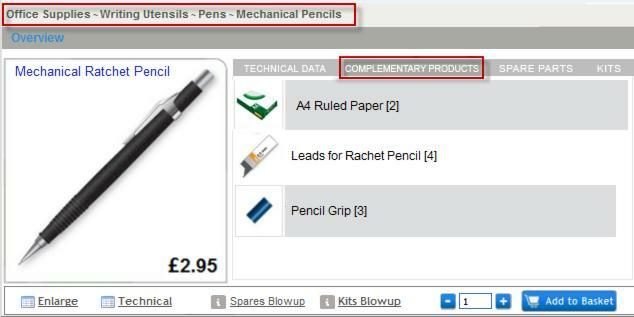 The example below, the End Cap of the Ratchet Pencil can be purchased as a Spare Part. Scroll down through the spare parts and select the desired part. Use the and buttons to choose the quantity of a specific spare part, and click Add. The Spare Parts are added to Basket. To order items from the Basket refer to To Order Products from Basket. To go back to the technical data screen, click Technical Data. For a more detailed description and display of the spare parts refer to Spares Blowup. Kits are groups of spare parts that are not sold separately. This is mainly because the replacement of the spare part requires additional parts and therefore they are sold together as kits. 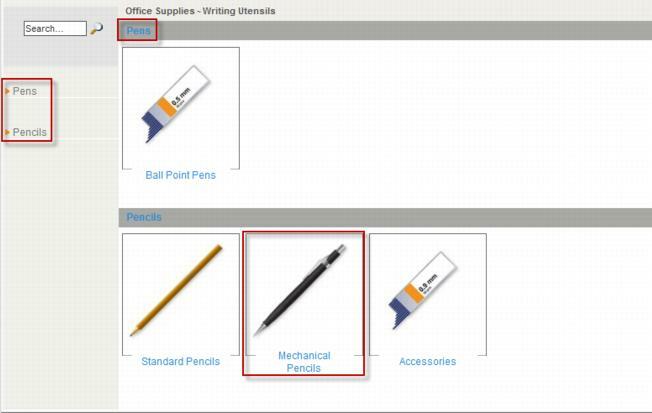 In the example below, the outer parts of the Ratchet Pencil are sold together as a replacement part of the pencil. Browse through the Kits and select the desired Kit. Use the and buttons to choose the quantity of a specific Kit, and click Add. The Kits are added to Basket. To go back to the technical data screen, click Show technical data. For a more detailed description and display of the kits refer to Kits Blowup. Complementary products are items that complement the product. Although they are not supplied together with the original product, these products are usually directly linked to the original product and can usually be used together or in conjunction with the original product. In the example below, A4 Papers are considered to be complementary to the Ratchet Pencil. The system displays only the options that fit your specific products. The selection process is a drill down, mistake free, filtration that results in the desired final complementary product that matches your product perfectly. This process is built up of a slide technique along with specific characteristics selectors. : Click this button to go back one step. : Click this button to reset your selections. To view the full technical information of the selected product click Tech Info. To order the selected product click Order and use and to select quantity. Click Add. You can label the Complementary Product with your custom label; this enables you to quickly locate it in the future with your own product code. 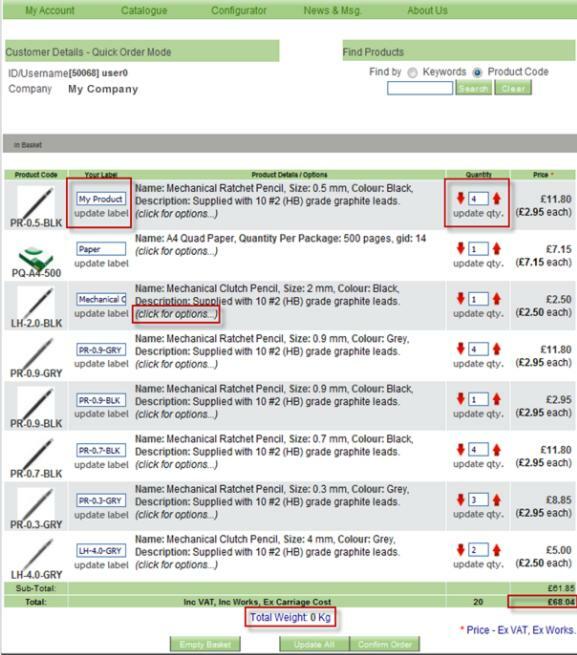 To select the quantity of products for purchase, click or in the Quantity field. Click Add to Basket, the products selected are moved to the Basket. You can add items to Favorites through the Full Technical screen. If you don’t wish to label the item, click Cancel. If you wish to label the item, type in the desired label name. The Favorites screen is divided into group name tabs; each product is displayed in its specific tab of the Favorites. Technical pages can be e-mailed directly through the system by clicking Email to a Friend. Type in the e-mail address and click OK. The product details are sent to the desired e-mail address. This presents a printable version of the technical page. Click Print Page. You are prompted to select a printer. Select the desired printer and click Ok. The product details are printed. To view the Spares Blowup screen click the Spares Blowup link. You can browse through the spare parts images and use the detailed list included to order parts. 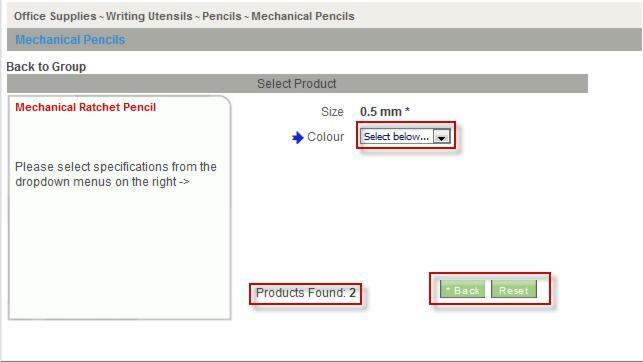 Use the and buttons to choose the quantity of a specific spare part, and click Add. The spare parts are added to the Basket. To e-mail this detailed screen to a friend, click e-mail to a Friend. A dialog box is displayed requesting to type in the e-mail address. To view the Kits Blowup screen click the Kits Blowuplink. The kits are labeled with numbers; each kit consists of a number of spare parts, you can browse through the kits’ images and use the detailed list included for full descriptions. In order to e-mail this product to a friend please refer to E-mail to Friend. Some systems are tailored and have a highlight distinction feature. The distinction between the kits is by opacity. This feature uses a mouse over affect, which highlights a specific kit with high opacity and minimizes the opacity of the other spare parts. 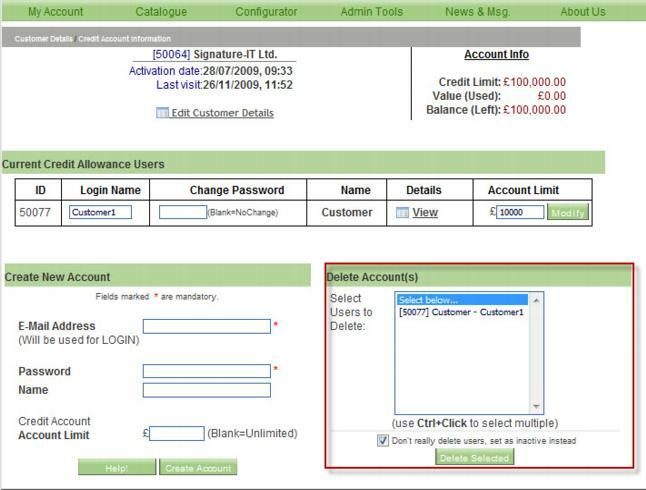 By logging into the system, authorized registered users are able to use additional features not available for guests. Such features include the ability to purchase products, view own net prices and customize the Favorites section. Click Login. You are now logged into the system. Your user name is displayed in the top right corner of the screen. If you don’t have a username please refer to Creating an Account. If you forgot your password please refer to Forgot Your Password?. If you fail to login, check that your user name and password are correct. If you still fail to login, contact your system administrator. If you are a new user, and do not possess a username and a password, you are able to create an account. You receive a specific authorization level, decided by your system administrator, which affects your specific user capabilities. Fill in the fields above. The mandatory fields are marked *. 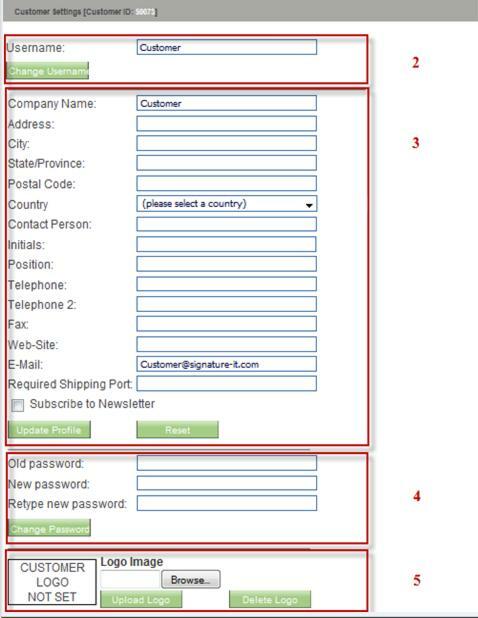 Fill in the mandatory fields: e-mail Address, Choose a Passwordand Retype Your Password. 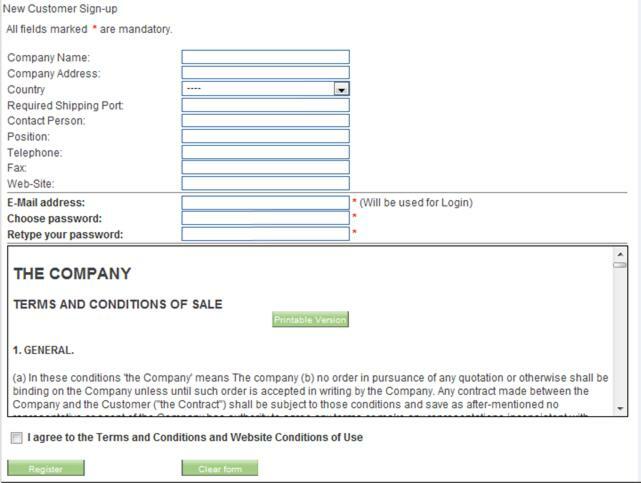 Read the Terms and Conditions of Sale and the Website Conditions of Use, and select the I agree to the Terms and Conditions and Website Conditions of Use checkbox. Click Register to register your account information. A message is displayed announcing you have been registered and that you are required to login to the system with your new user details. Click Ok. To log into the system refer to Logging into the System. To clear the form, click Clear Form. Your system administrator is the one to create a credit account for you. Once a credit account is createdyou can order products online. If you received activation details from your system administrator via e-mail or by post, you need to activate your account. Click Login, located on the top right corner of the screen. In the Usernamefield, type the username given to you by your system administrator. In the Passwordfield, type the activation code given to you by your system administrator. In the Desired Username field, type the user name you would like to use in the future. Make sure your e-mail address is listed in the Youre-mail field; it is mandatory. Retype your e-mail address in the Retype e-mail field. Retype the new password in the Retype new password field. Click Submit Form. A message is displayed announcing that you have completed the activation process successfully. The system requires you to login with your new settings. You cannot use the original login details sent to you by your system administrator. In the Old Passwordfield, fill in your current password. In the New Passwordfield, type your new password. In the Retype New Password field, retype the new password. Click Change Password. A message announcing that your password has been changed successfully is displayed. In the case you forget your password, there is a password retrieval feature located in the upper top right corner of the system “Home Page”. Type in your e-mail address in the blank field. The system sends you a link to the password reset page, click the link. Retype the new password in the Retype New Passwordfield. Click Submit. A message is displayed announcing that you have completed the process successfully. The system requires to login with your new settings. The system requires you to login with your new settings. You cannot use the original login details sent to you by the system. 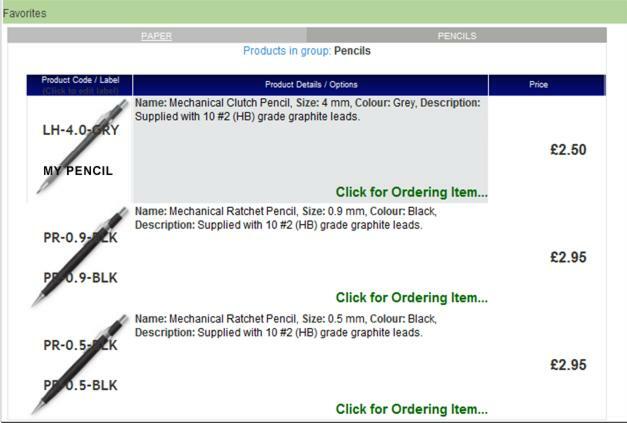 This menu option enables you to quickly place and order products in the basket, using product codes or product description without browsing through the catalogue. 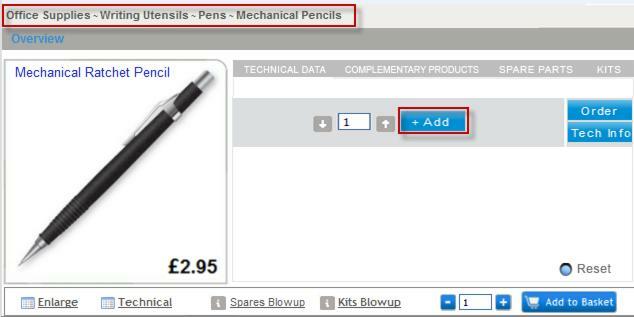 You can quickly select products from a search engine, add to the Basket list and confirm the order from the same screen. Search engine in the “In Basket” section. Selecting products in the Catalogue. Please refer to Adding to Basket. Selecting products from the Product Configurators. 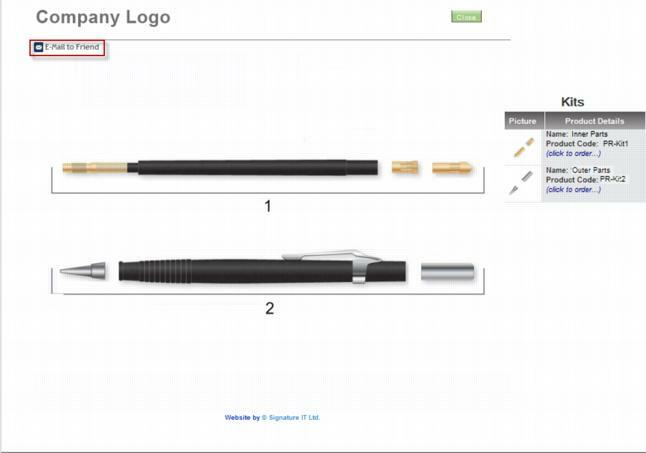 Please refer to Signature System Product Configurators Guide. This section discusses the search engine in the In Basket screen. 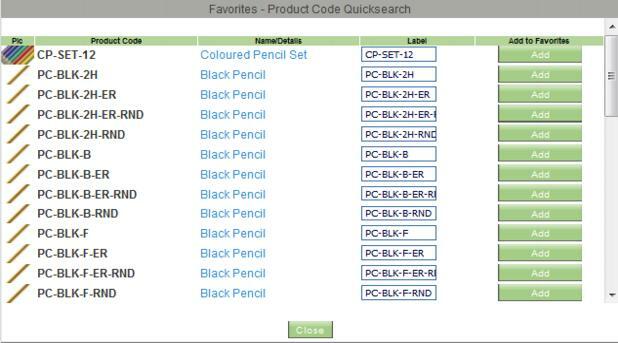 In the search field, type the letter or word to search by and select to search by Product Code or Keywords. Scroll down the list and click or to select the quantity of the product of choice. Click Add on the product of choice, the product is added to In Basket. To empty the basket, click Empty Basket. Before confirming the order, you can update certain fields such as the label nameand quantity. 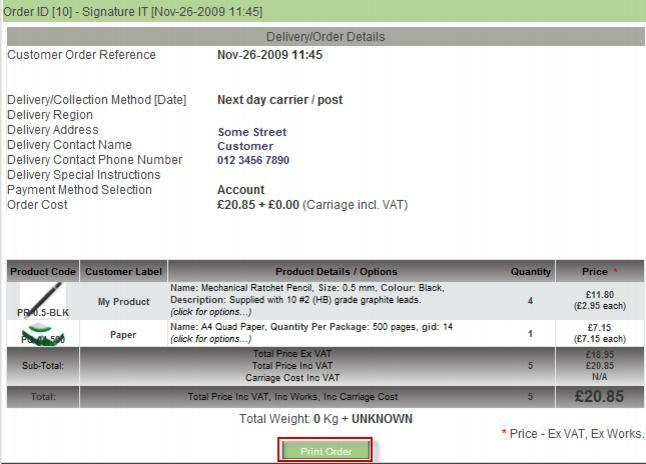 By updating the label name you choose a name or product code of your own for future ordering. To increase or decrease quantity, use the Update Qty. button. To update all changed fields at once, click Update Allat the bottom of the screen. At any given time, after updating quantities, you can see the total weight of products in your basket. If you wish to view the product’s Overview page, click this option. You can add any item from the Basket to your Favorites. This enables you to view your popular items, at any point in the future, in your own personalized section. Note that the Favorites page is divided into tabs that represent product groups. Prices are displayed to the right of the product. 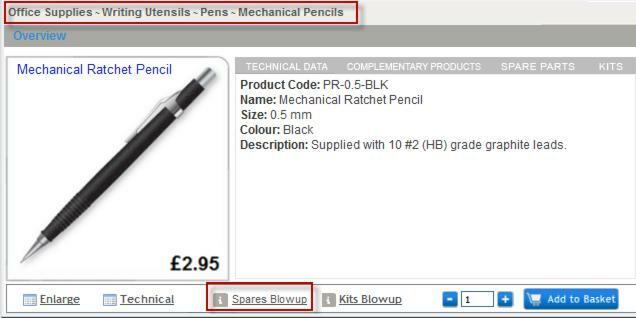 If you desire to view the full technical details of a product in your Basket you can use this option. Click OK. The selected product is removed from the Basket. The mandatory fields are marked . If you would like the system to remember your settings, select the Remember Settings for Future Forms checkbox. This message explains that the total price of the order cannot be configured at the moment. It has to go through an additional, manual, input by your system administrator. You will receive notification by e-mail when the final price is configured. If the Payment Method cannot be selected, it might mean that you do not have a credit account defined by your system administrator, or that maybe you have reached your credit limit. Please contact your administrator for more information. The Favorites feature enables you to store your widely-used or personalized products in one place. You can search for products and add them to your Favorites, edit some product details and order products through this feature. The search engine in the Favorites screen. 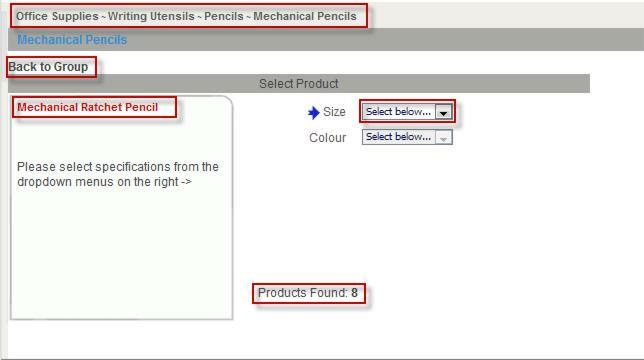 Selecting products in the Product Configurators. 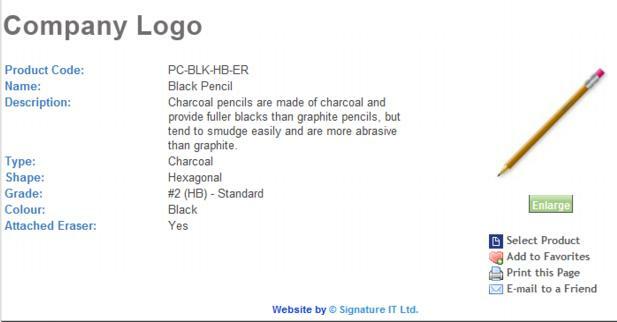 Please refer to the Signature System Configurators User Guide. This section discusses using the search engine in the Favorites screen. In the Search field, type the desired word or letter, and select to search through Product Code or Keywords. Click Add to select the desired products. The product is added to the Favorites. If the product is already part of the Favorites, the system notifies you that the product already exists in your Favorites. 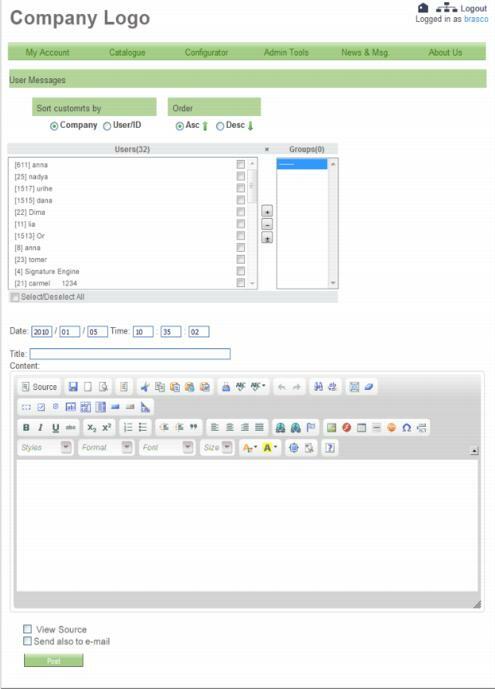 The grouping of the products in the Favorites section is done automatically by the system using the catalogue structure. You can find your selected product under the title that suits it most. The Product Label can be changed to any unique name you desire. This enables you to quickly recognize your products by a unique name or code instead of remembering the many system product codes. Erase the existing label and type in your new label. To cancel the label change, click Cancel. Type in the custom label of the product and click OK. The item is now placed in the In Basket. To view the full technical details of the item, click Show full technical data. The Full Technical page is displayed. To delete this item from Favorites, click Delete from Favorites. To order items from Basket please refer to To Order Products from Basket. You are able to view current and past orders in the system. You can view all order details such as the date the order was created, the cost, the status of the order and if it has been finalized. 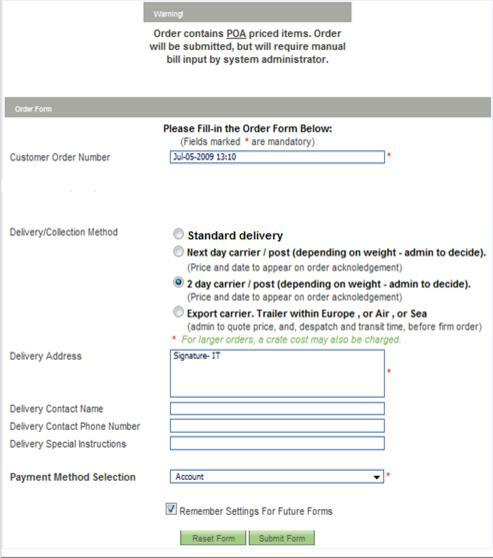 Order Reference: Displays sub-users’ ID per order or orders with your chosen order reference. Final: means the order was reviewed by the Admin and has a Final cost. means the order does not yet have a Final cost. Cost: Displays the cost of the order. Status: Displays the status of the order; Received, Cancelled, None, Delivered, Collected. 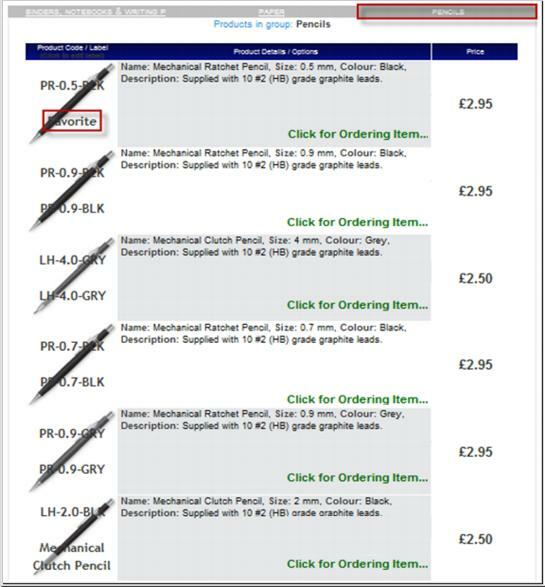 Order Details: This enables you to view the full order details. To view a specific page number, select the page number from the Page dropdown list. To change the number of orders displayed on the screen, select the desired number from the dropdown list. You can create sub-users to share your credit account; this is helpful in companies with several departments. You have supervision abilities over yours sub-users’ orders and their statuses. 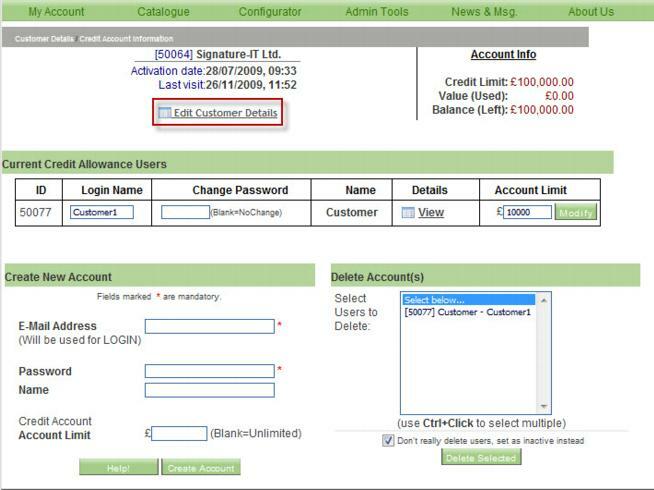 You can create new sub-users accounts, deactivate sub-users accounts and edit customer details. Navigate to My Account>Account Management. 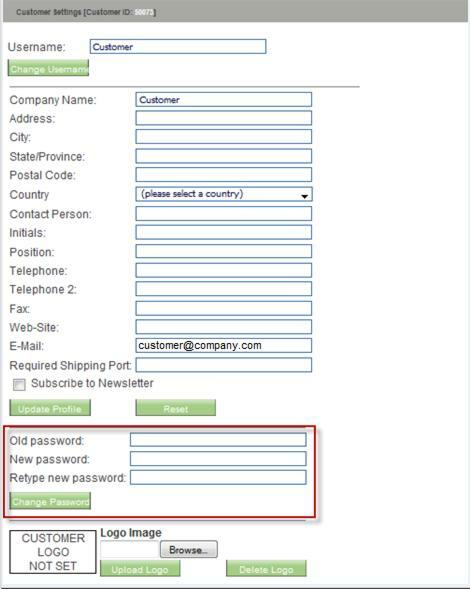 The sub-user’s account information is displayed with a blank form for creating new accounts. In the e-mail Address field, type the e-mail address of the new account sub-user. In the Password field, type the sub-user’s password. In the Name field, type the name of the new account sub-user. If you wish to limit the credit amount per order for this sub-user, type the amount in the Account Limit field. If you do not wish to limit the account, leave the field blank. Click Create Account. A verification message is displayed. Click OK. The user profile form is displayed. Select the sub-user account you wish to deactivate. For multiple users, use Ctrl+Click. Click Delete Selected. A verification message is displayed. Click OK. The selected accounts are deactivated. Click Edit Customer Details. The Customer Settings form is displayed. To edit the customer details, please refer to Profile. Displays messages received from your system administrator or automatic messages the system sends. This tab displays customer settings. You can change your user name, change password and update your profile. To change the Username: In the Username field, type the new username and click Change Username. A message is displayed announcing that the username was changed successfully. Update the desired fields and click Update Profile. A message is displayed announcing that your profile was updated successfully. To undo the changes made to the profile, click Reset. In the Old password field, type your old password. Retype your new password in the Retype new password field. Click Change Password. A message is displayed announcing that your password was changed successfully. Click Browse to search for your logo image. Select the image and click Upload Logo. The logo is displayed. To delete the logo, click Delete Logo. The logo is deleted. The Signature System has a one-of-a-kind advanced search engine that enables you to search for specific products through a quick and easy process. This advanced search engine is like no other! You can search for a specific product with very little information and the system guides you to the exact product you desire. The parameters of the search are not co-dependent and the order of parameter selection is irrelevant. This means that you can enter the information you have in the corresponding fields, even if partial, and reach your desired product in a matter of minutes. 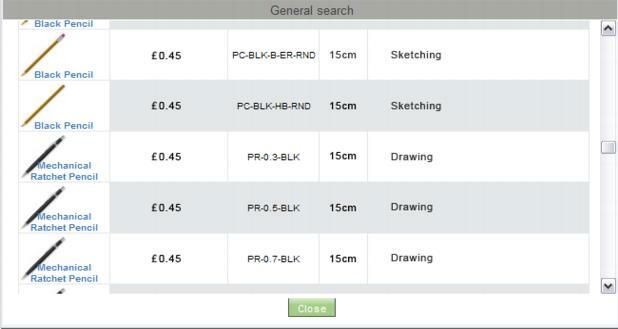 Some systems have an illustration-based advanced search which enables you to select product groups by presented images.